What are the charges against Paul Manafort and Rick Gates? The charges against Donald Trump’s former campaign chairman Paul Manafort and his business partner Rick Gates are the first to result from the probe into alleged Russian meddling in the 2016 presidential election. However, although this marks a significant escalation in the inquiry, the indictment does not relate to presidential campaign work, but to past business dealings – something which may come as a relief to the president. The full indictment includes charges concerning the pair’s activities in Ukraine between 2006 and 2015, where they are accused of acting as “unregistered agents” of the former government under President Victor Yanukovych and his party, both in power and in opposition. They are accused of hiding tens of millions of dollars from US authorities, laundering the money in the process. Their lobbying efforts in Ukraine involved two companies, according to the indictment. Their campaign included lobbying members of the US Congress about sanctions against Ukraine, and Yanukovych’s imprisoning of his rival and former president Yulia Tymoshenko. She was jailed in what experts said was a politically-motivated trial. Manafort and Gates are said to have used an offshore account to funnel four million dollars to pay secretly for a report. Millions of dollars are said to have been funneled into foreign companies and accounts, despite denials by Manafort and Gates that they existed. The pair were required by law to report their lobbying work in Ukraine to the US authorities, but they are accused of failing to do so, instead providing false information. Manafort is said to have avoided tax in the US, enjoying a lavish lifestyle thanks to his hidden overseas wealth. It is alleged that he used offshore accounts to buy properties, which he used as collateral to borrow money in loans, obtaining cash without reporting or paying tax on the income. Gates is said to have aided in these operations, benefitting from them. More than 75 million dollars reportedly flowed through foreign accounts linked to the pair, with Manafort laundering over 18 million dollars. Manafort and Gates are said to have devised a scheme to defraud US banks and other institutions, giving false information in order to do so. According to the indictment, the US government is to seize Manafort’s assets including several of his properties. 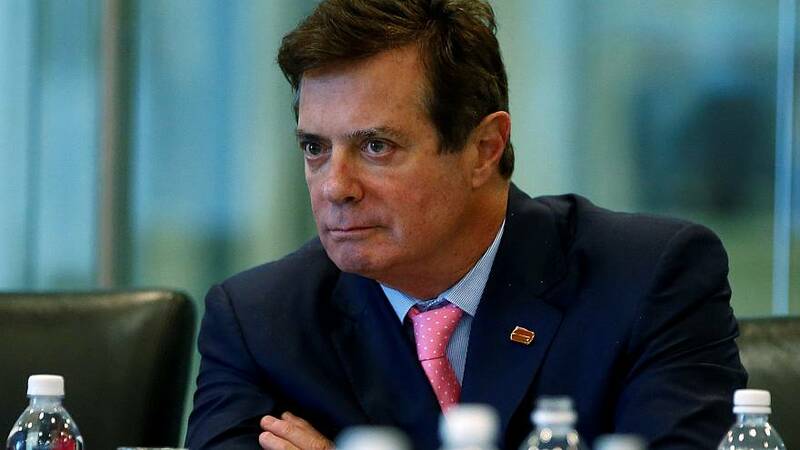 Paul Manafort, 68, served the Trump campaign from June to August 2016 before resigning amid reports that he might have received millions in illegal payments from a pro-Russian political party in Ukraine. The investigation by Justice Department Robert Mueller has been examining Manafort’s financial and real estate dealings and his political work in Ukraine. Rick Gates was a long time business associate of Manafort and has ties to many of the same Russian and Ukrainian oligarchs. US intelligence agencies concluded earlier this year that Moscow had interfered in the US presidential election campaign, including hacking into and releasing Democratic emails to try to embarrass Democratic candidate Hillary Clinton. President Trump has denied any allegations of collusion with the Russians and has called the probes a “witch hunt”. The Kremlin has also denied the allegations.